Weekend Adventures just launched a new and exciting location in Nashville! Over the weekend of August 17th, Jill’s House Rocky Top hosted its first campers at the YMCA Camp Widjiwagan, right near Percy Priest Lake. Good weather allowed the campers to enjoy outdoor activities like ropes courses, hayrides, and bonfires, in a safe and cherishing environment. 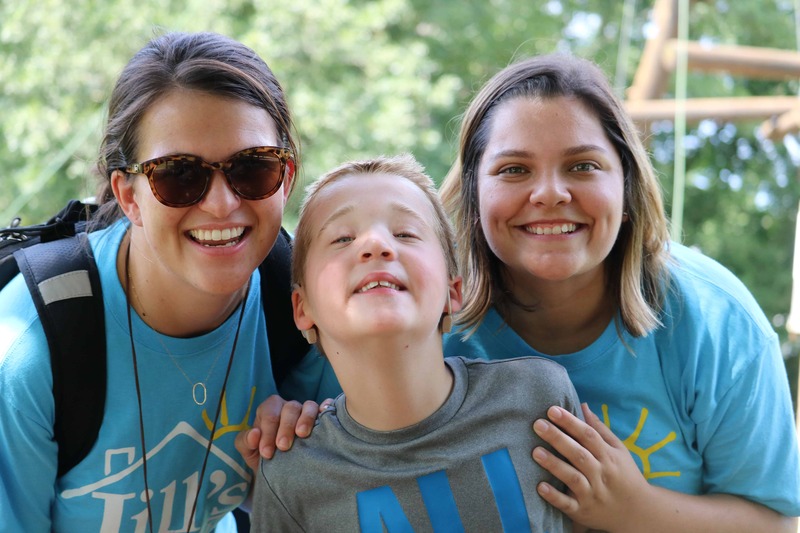 Rocky Top is one of four Jill’s House Weekend Adventure programs in the country, offering children who have intellectual disabilities the opportunity to explore the great outdoors. Trained staff, including client care specialists (CCS), nurses, and volunteers, ensure the safety of the children and peace of mind for the parents. The children have the sleepaway camp experience and stay in cabins with their new friends, as a CCS remains awake and available throughout the night. Camp staff prepares the meals with specific dietary needs in mind, so the children are free to just be kids. We are thrilled about Rocky Top and cannot wait for the many more adventures ahead!